The Coachill Inn (get it?) plans to break ground soon in Desert Hot Springs. The 120-room 420-friendly hotel is detailed in an article in Weedmaps (yeah, they have more than just maps of dispensaries) and plans to offer almost everything someone looking for a 420-style vacation is looking for. 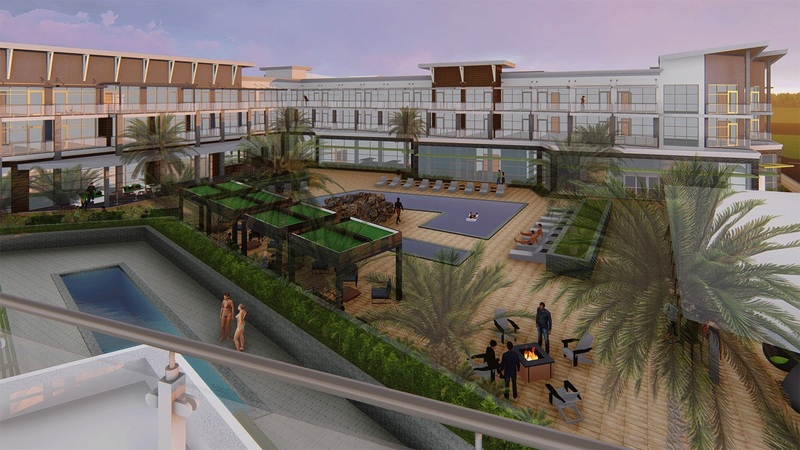 The hotel is being developed by MJ Holdings, Inc., a Las Vegas Company with plans not only in Desert Hot Springs, but also additional hotels in Colorado, Las Vegas, and other California cities. The Coachill Inn will sit inside of the Coachillin’ Canna-Business Park in Desert Hot Springs – which you may have driven into to park for the KIND Music Festival – and, if you were like me, you thought: Wow! This development is huge!! Well, you were right. The business park spans 160 acres and sets out to be a cannabis incubator for companies to operate and dispense. 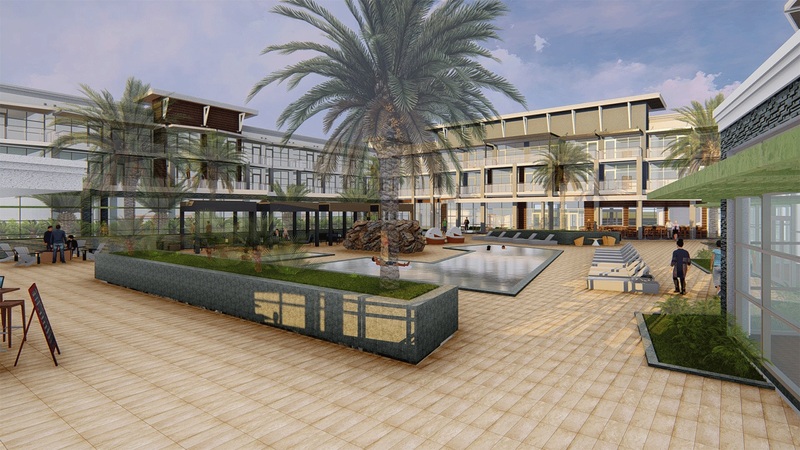 There are plans on the site for a tourism center, a brewery, education facilities, and art installations along with a lazy-river pool (tapping into the natural hot springs in the area and an amphitheater for live entertainment. The Coachill Inn will offer plenty of opportunities for guests to partake in cannabis, with restaurants offering cannabis-infused food and drinks and “cannabis concierges” to recommend other spots in the desert. 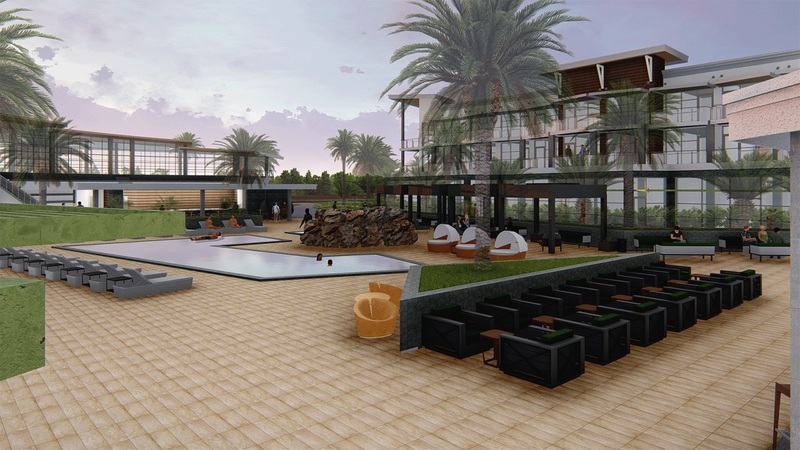 The resort will also offer hemp-based linens and robes and other amenities aimed at the needs of the 420 crowd.